So many tasks are unimportant to BOTH of my highly distractible children! This is an awesome idea and a great training tool to help motivate and also learn to motivate oneself. However, I am wondering about the dentist bill(for the highly distractible one who forgets to brush his teeth) and the obesity clinic we will attend after a while on this reward system. I would love to hear more ideas on mini rewards or motivators. We also struggle with the idea that every success must be met with a reward. We love our “distractible wonders” so much! We know they have a desire to please us and the Lord but tend to sometimes intentionally and sometimes unintentionally disobey.. How do you move on to another item that needs work? 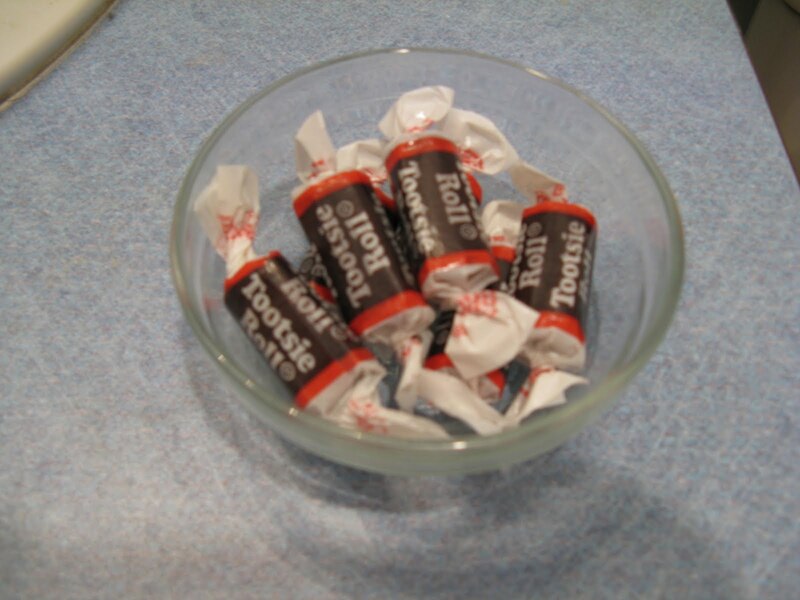 Do you replace the tootsie roll with something else positive or do we eat so many tootsie rolls for remembering to comply on different issues that we all go into a sugar coma together with great joy and a happy happy dance?! Any additional helpful” hands on” hints for a highly distractible mom would be greatly appreciated! I just got all of Carol’s books but haven’t ready every word yet! THANKS! LOL about the coffee!! Same way at our house :). I am actually going to start this today for MYSELF (not tootsie rolls, but I’ll think of something) to help me get on top of laundry! Thanks! After I begin to get my own external motivation needs mastered, then I’ll begin to work on my kids. I have 5 kids between the ages of 5 and 10 years. They are all distractable to some degree, a few more than others. I have many rewards and visual triggers, but I try to stay away from food based rewards (especially when trying to keep the refined sugar consumption down). I have found displaying photographs of items put away properly works well. I also keep a sack of nickles in the kitchen, so I can reward a particular childs piggy bank whenever I see something done well. I also have a jar of popsicle sticks that the kids can earn when doing chores and then redeem for ‘screen time’. There is also a treasure box full of small items that can be used as a reward for completing tasks. ah, easily distractable… describes me AND my son. so hard to do the tasks that are NOT intrinsically rewarding. some things only get done when it becomes more of a hassle for them not to be done (dishes LOL). so many times i have gone to a room to do something and be distracted by something else that needs doing and then just not do the other. thanks for this, it explains so much. will have to come up with what works for my son AND me! thanks for a highly entertaining and informative piece! Hmmm…I’ve never heard of the terms ‘executive function.’ I’ve always referred to my DD with adhd as ‘organizationally challenged” but now that she’s a teenager, I like the new term better! Thanks for links to more info on that! I need to figure out how to apply this Tootsie Roll technique to school work that she does during study hall at school. We have an organizational structure (with folders), but when the bell rings she doesn’t take the time to put in it the folder, but just shoves it in her bag, where it disappears into the black hole at the bottom of her bag. Since this is an ‘executive function’ issue, maybe I can just get her a briefcase with slots? Maybe one where when she puts the papers in the slots, it pops out a quarter (I don’t think a nickel would be enough motivation!!) 🙂 I just heard of you through Carol at Sizzlebop so I haven’t looked at your site thoroughly — maybe you have such an item for sale? So many good ideas here! For children, I recommend the book “Smart But Scattered” by Peg Dawson and Richard Guare. Billed as “The revolutionary Executive Skills approach way to helping kids reach their potential”, it is packed with practical ways to identify and address issues related to executive functioning. I found a copy at my library and it is available on Amazon.com as well. As for concerns about too many Tootsie Rolls, I feel your dental pain. Here’s the upside with our distractible kids…they love/crave/need variety so the rewards not only can be changed, they should be changed now and then. And if your family is like mine, you do not need more trinkets cluttering up your house. For example, you could use a reward to work toward a larger prize by having two zip-loc bags side by side marked in some way to make them distinctly different. A small set of Legos goes in one bag, with one piece being transferred into the “I did it!” bag with each completed task. You could tape the picture of the completed object on this bag for added motivation. When all the pieces have been transferred the child can make whatever the set was designed to make, or if your child is like my son he can make something completely different! In any case, the child is getting rewards for completing tasks and learning patience while working toward a larger goal or prize. The rewards don’t have to be big or expensive, just rewarding. I used to sing the song “I’m proud of you” (from Mr. Roger’s Neighborhood) to my kids when they did something well. It cost me nothing and took only a minute, but the children got the acknowledgment they needed. Since you may not always be physically with your child when she completes a task, try recording a celebratory song on an inexpensive recording device and have her play it for herself when she completes a task. She can keep it in her pocket or you can leave it at the task completion spot. Again, if things tend to get buried or misplaced at your house try using industrial Velcro to keep it in one place. And now…(drum roll)…for the distractible adult here are a couple tips we’ve tried over the years. First, and only moderately successful but better than nothing, when my easily-distracted husband sets out to do a task I remind him of his goal and loudly hum the theme from Mission Impossible. “You’re in, you’re out!” I helpfully remind him as he heads out the door. The other tip I’ve used on those especially scattered, brain fog days is to wear a recording device and tell myself what I need to remember. I record a message, then when I get to the top of the stairs or in another room (yep, it could have evaporated from my brain already) I listen to the message. Usually it’s something simple like “I’m going upstairs to get my sewing scissors.” Sometimes I throw in an encouraging message like “You’re the woman!” just to keep my motivation strong. Check your cell phone for an application that allows you to do voice recordings. That might be a good technology tool for distractible teenagers to use. It’s faster than writing things down and we almost always have our cell phones nearby. Plus, cell phones are less likely to be lost than scraps of paper with hastily scrawled notes on them. Just shared this on our homeschool group’s Special Needs forum. Thank you for the great post!